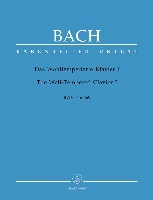 Wir müssen durch viel Trübsal (We must [pass] through great sadness), BWV 146, is a cantata by Johann Sebastian Bach, a church cantata for the third Sunday after Easter. Bach composed it in Leipzig in 1726 or 1728. Bach reworked the first movement of the harpsichord concerto to an organ concerto, expanding the strings by woodwind instruments. He changed the second movement to a choral movement by embedding vocal parts in the music, but this time without additional woodwinds. The opening chorus is superimposed onto the deeply moving slow movement of the concerto, the anguish of the repeated (ostinato) bass line ideally underlining a text concerned with the tribulation that must be endured before the kingdom of heaven is attained. 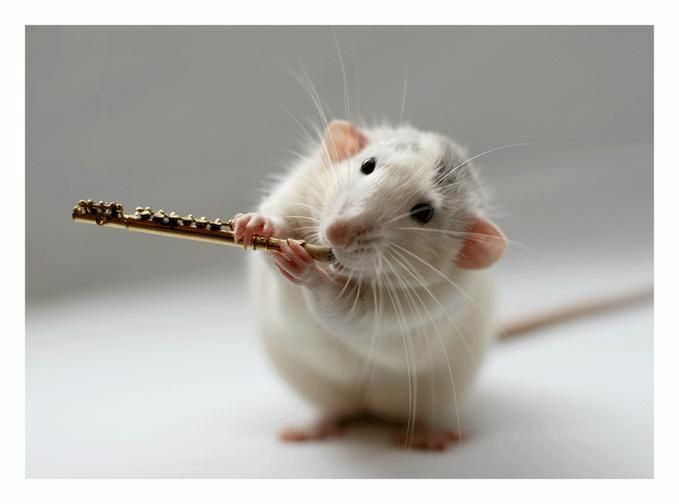 The original thirteen-bar throbbing ritornello theme is retained but its function has changed. The voices soar above it from the very first bar and continue to enhance it throughout its six appearances in different tonal environments. The ritornello theme has virtually become a free "ground bass" throughout. The tortuous melodic line, the main focus of attention in the concerto setting, has now become an obbligato melody of secondary significance. It is played by the organ, the first time Bach has used the instrument in this way in a chorus. The choir rises magnificently above everything else establishing itself as the dominant musical force, even appearing to disregard the phrasing of the original composition. All that was of primary importance in the concerto is now secondary to the chorus and its message. This momentous adagio, seemingly complete in its version for strings and harpsichord, has taken on a whole new dimension of musical meaning. Filled with lamenting in the spirit of the Passion, the movement gains its intensity from the dense and dissonant harmonic expressiveness, and incorporates ostinato phrases whose regular appearances seem to illustrate inevitability. 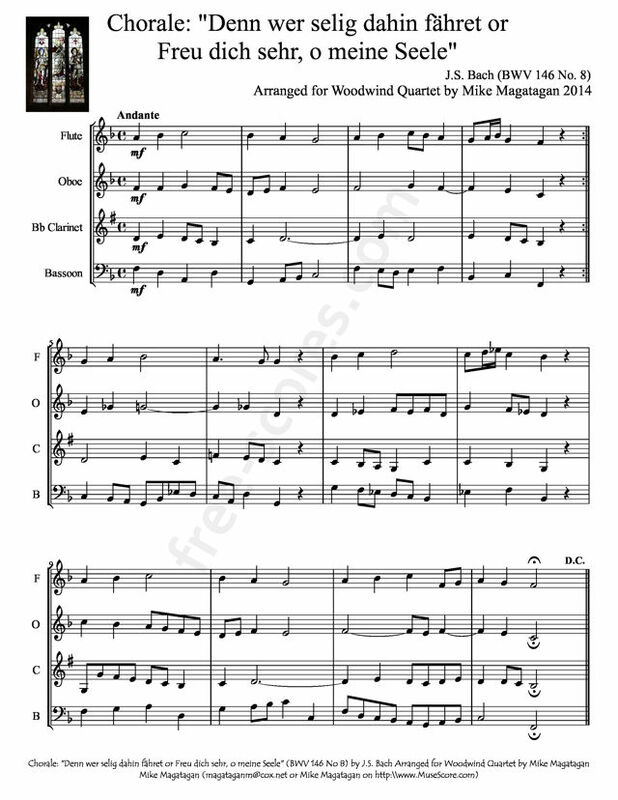 Although the cantata was scored for soprano, alto, tenor and bass soloists, a four-part choir, flauto traverso, two oboes d'amore, taille (tenor oboe), organ, two violins, viola and basso continuo, I created this arrangement for Woodwind Quartet (Flute, Oboe, Bb Clarinet & Bassoon).